Home » Videos » Archive for category "PencilPoint Pig Party"
PencilPoint Pig Party— In this final edition of the PencilPoint Pig Party, Joe and Emily play Silly Scribbles with a group at ConFusion. 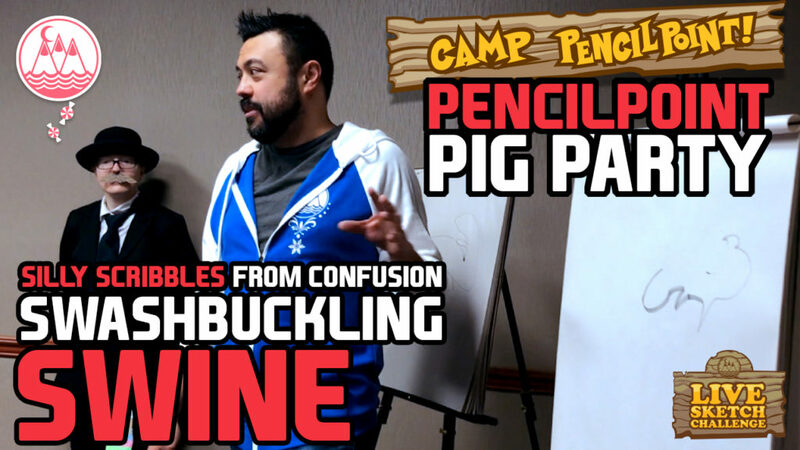 In support of the theme of ConFusion this year, The Princess Bride, Joe and Emily draw some swashbuckling swine! They are collaborating with young artists Anya and Isaac. Recorded at ConFusion, this video is a Live Sketch Challenge. It is a fun yet challenging drawing game, and we encourage you to draw along! Grab a friend, close your eyes and scribble for 7 seconds. Then draw some crazy characters from those silly scribbles. 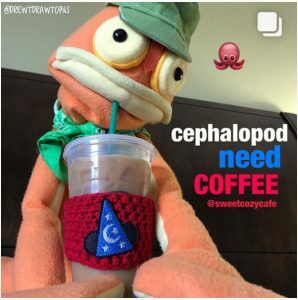 We would love for you create some absurd characters along with us! If we find your art on social media, you can earn your digital badge to the PencilPoint Pig Party! PencilPoint Pig Party— It is time to play a drawing game! Will you draw along with us? 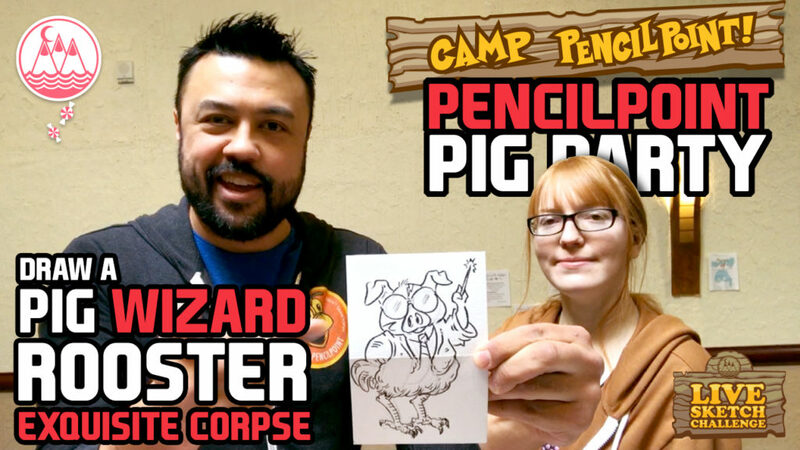 In this video, Joe Foo and Emily Zelasko play EXQUISITE CORPSE and they explain how you can too! For the top half of this sketch, Joe draws a wizard pig… you know, for Hogwarts! Then Emily draws a rooster for the bottom half of this sketch. This video was recorded at ConFusion. There was a drum and flute jam session going on during the recording. You have to check out the post credit scene to see Emily’s dance moves!